SAVE THEM ALL – NOW OR NEVER! 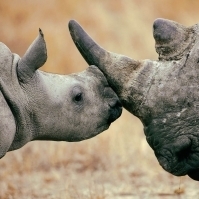 The Now or Never African Wildlife Trust has one mission – Save them All. 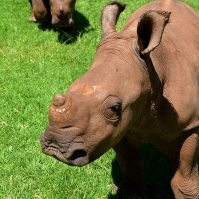 We endeavor to save all the elephants, rhinos and calves who survive a poaching attack. 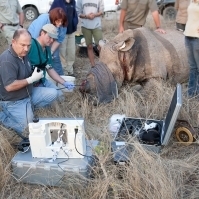 We want to save all the survivors, injured and orphaned. 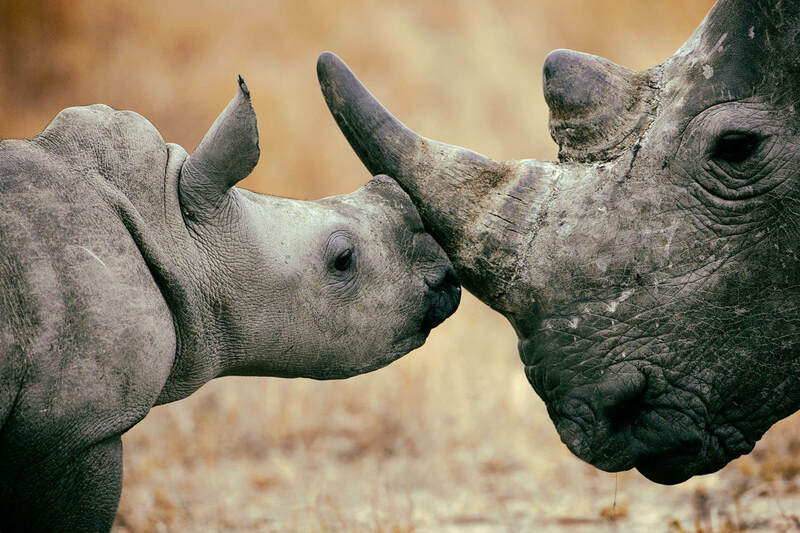 We strive to save them all. When the call comes on the emergency line those responsible for rescuing orphaned animals know the next 24 hours is crucial. If an animal can be found within that crucial time window the chances of survival are much greater. The threats in the first couple of days are huge. The animal may have been injured, it will certainly be traumatized. 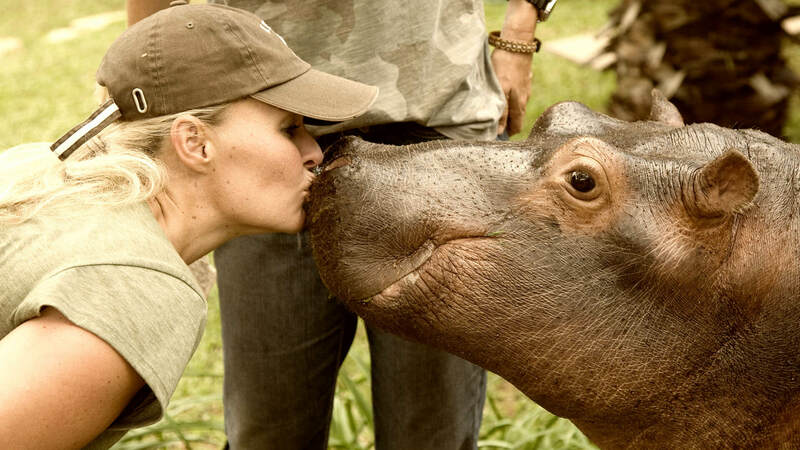 It faces deadly threats from other wild animals like lions and hyenas but mostly from hunger and associated issues. Young animals rely on their mothers for food. Take away that food source and the chances of survival for more than a couple of days are very slim. 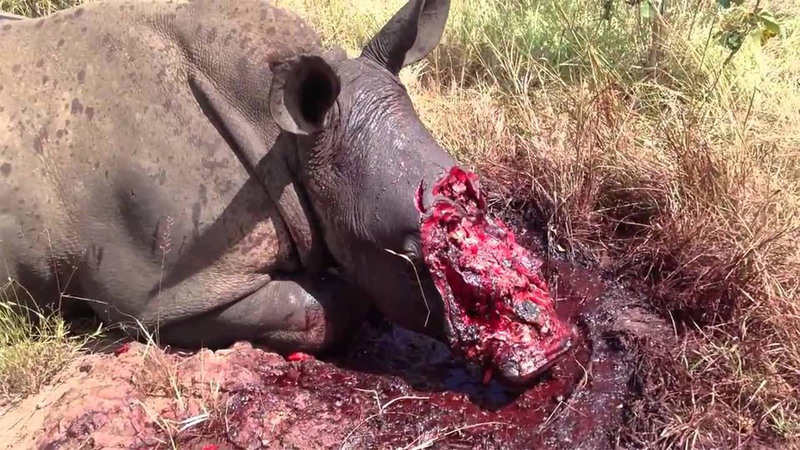 Many cases have been recorded of young rhino eating sand to fill their little tummies – which ultimately leads to death. 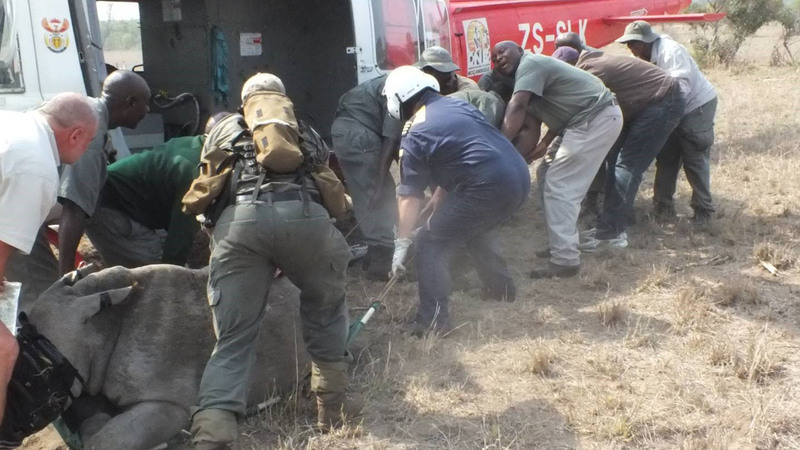 Helicopters on 24-hour standby located in the correct area are the most crucial tool available to those hoping to locate and carry out an effective search and rescue operation. Choppers need to be flown by experts in game location and capture, and accompanied by medical, tracking and security teams. 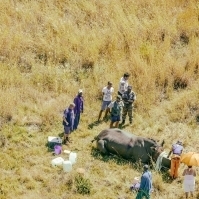 The location of a poaching site and the subsequent attempts to identify, track and trace any surviving calves are just stage one of a complex logistical mission. 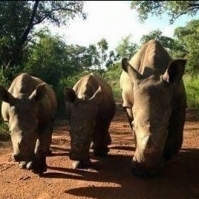 Co-operation between rhino owners and rescuers is also a crucial factor and the Now or Never African Wildlife Trust NPC is working to support rhino owners in the war on poaching. Once owners have contacted search and rescue the mission can be logged and begun. 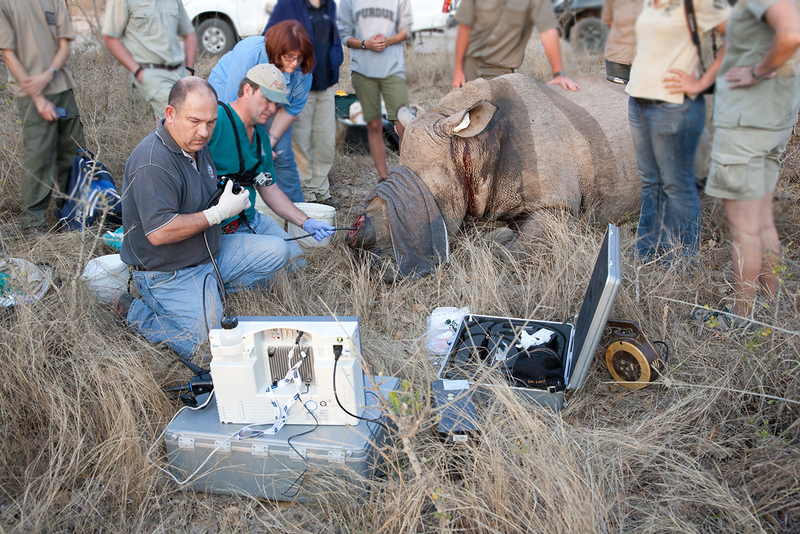 Once located a calf needs to be medically assessed. 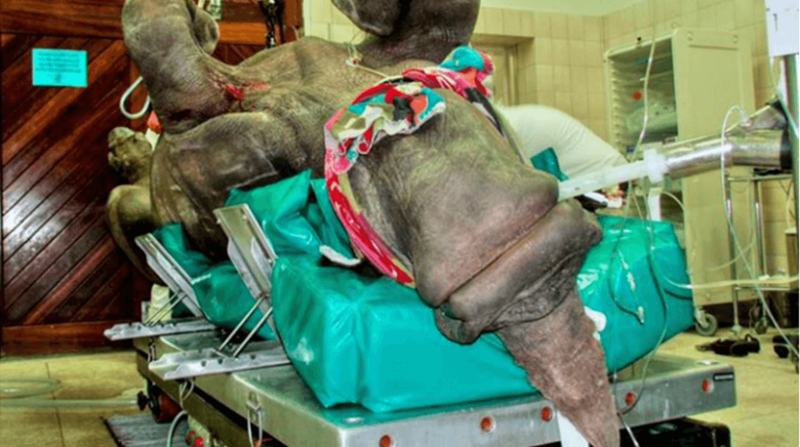 Some are heavily injured and traumatized to the point of death, so immediate medical care is required to stabilize the animal’s condition for transportation to the next stage of the process. 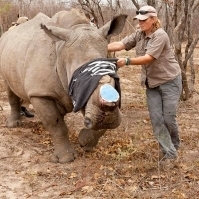 Specialist transport vehicles are also required to move large animals to safe places for rehabilitation, again accompanied by specially trained carers. The road to recovery, rehabilitation and release has only just begun. 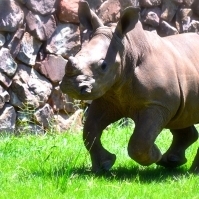 It is difficult to know how hard it is to save and rear a baby rhino. 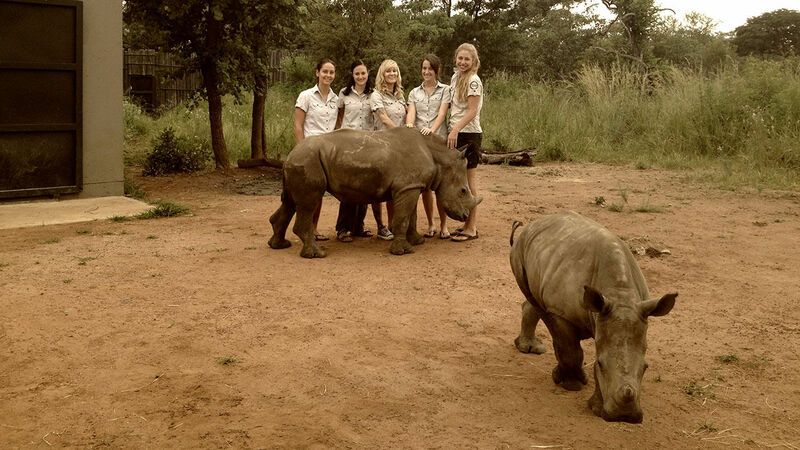 The world’s first specialist rhino orphanage was only opened in 2012. 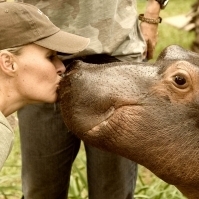 There are very few of them in the world and they are at the forefront of the battle to help save the species. 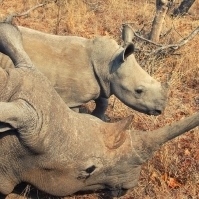 The rhino orphanages are called into action when a poaching is discovered and a calf is left motherless. The calf could be anything from newborn to almost three-years-old, so the facilities need to be able to cope with tiny young creatures and the almost mature. 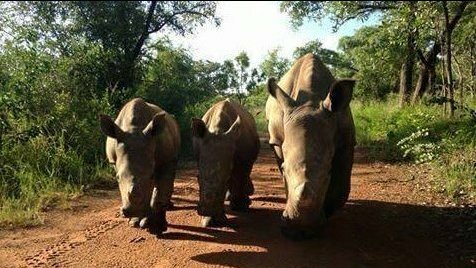 Staff are primarily volunteers led by a very few specialists who have dedicated their lives to understanding how to raise an orphaned rhino. 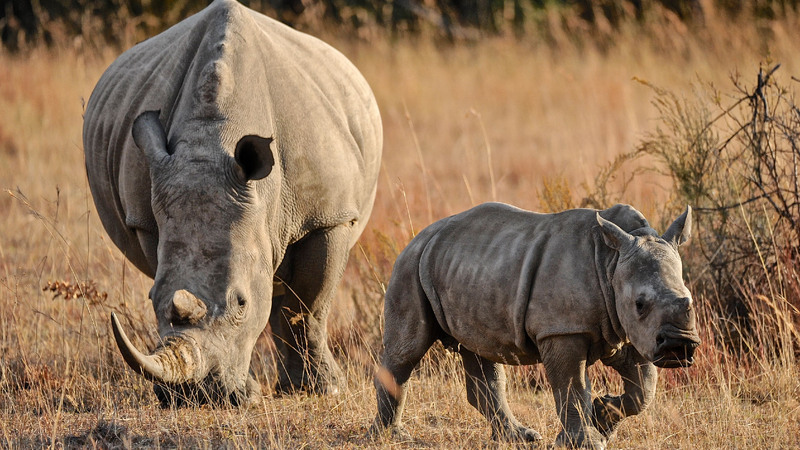 They must become the rhino’s mother and yet at the same time be willing to break that bond and let the animal live a wild life at some time in the future. The demands on carers are immense. 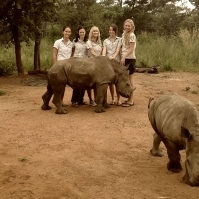 On arrival most rhino orphans are suffering from stress and many are injured….some fatally. 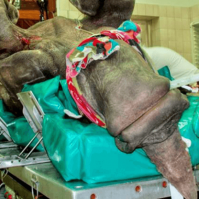 Despite the best efforts of expert vets and specialists some of the orphans have been through too much, are too badly injured, and despite hanging on for days or weeks, succumb to their wounds. 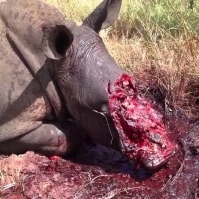 Imagine the pain of those who have chosen to do everything to save them? But there are more success stories than tragic endings. 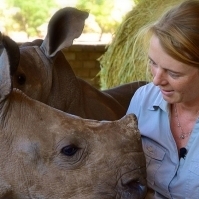 Becoming a rhino mum to an orphan is like the greatest gift of animal care. Feeding baby every few hours and listening to the contented milk sleep that follows. Seeing them grow and gain personality and strength. The whole aim of these amazing facilities is to save as many orphans as possible and then release them back into a safe environment. 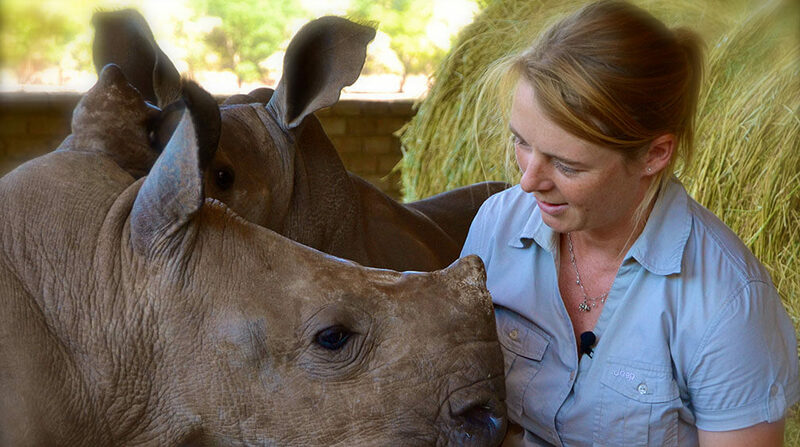 That is what rhino orphanages do – giving rhino calves the love & care they lost but which they deserve. 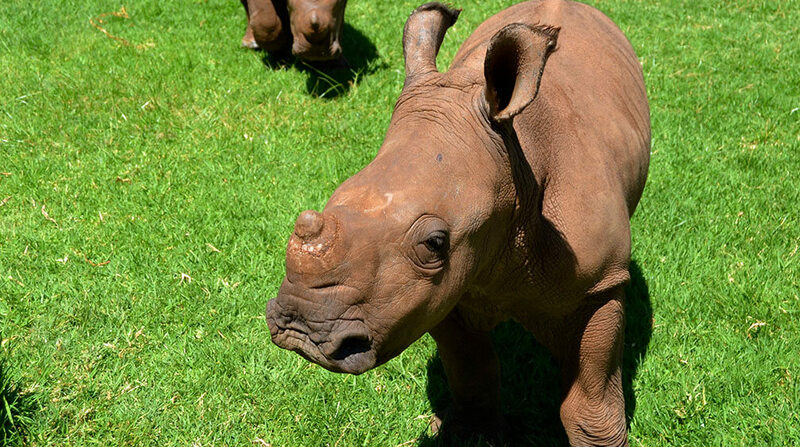 We ultimately need to provide a place of safety for rhinos when they are released from the love and care of the orphanages. 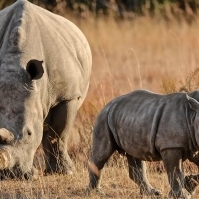 The Now or Never African Wildlife Trust NPC aims to create a minimum of ten strongholds. 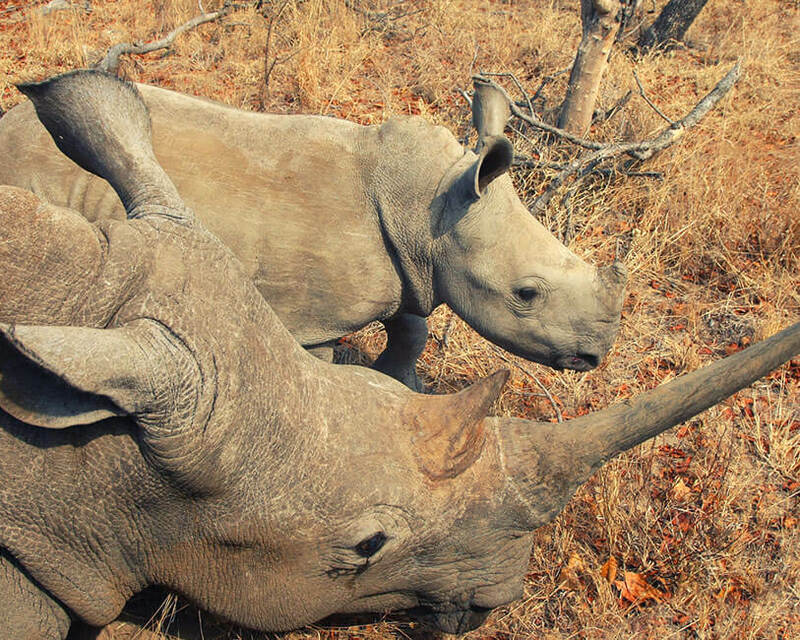 These will be areas large enough to sustain large populations of rhino in their natural habitat. And they will need to be protected by a mix of technology and manpower. 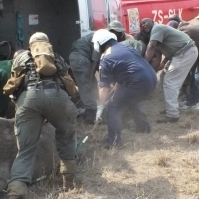 To that end we will employ all the latest technological security measures, from airborne and land-based surveillance systems, to early warning systems and state-of-the-art fencing. But the key to the strongholds will be the support of the communities which border them and are in some cases potentially enclosed by them. 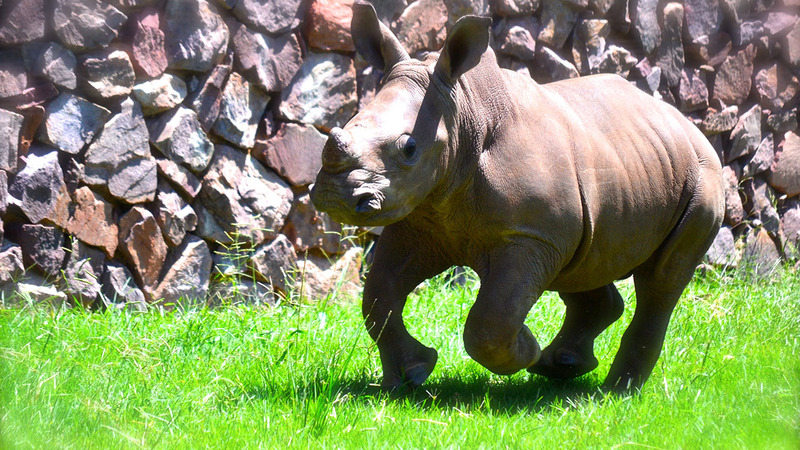 We will work to involve the local communities and give them a stake in the survival and protection of the rhino. We will involve the communities in projects which can help them prosper economically. Sustainable job creation will be at the heart of this – be it in security teams, educational and conservation work or other long-term sustainable benefits. In addition and as a central part of this we will create an army of security personnel. These personnel will be trained to the highest levels to patrol and protect. 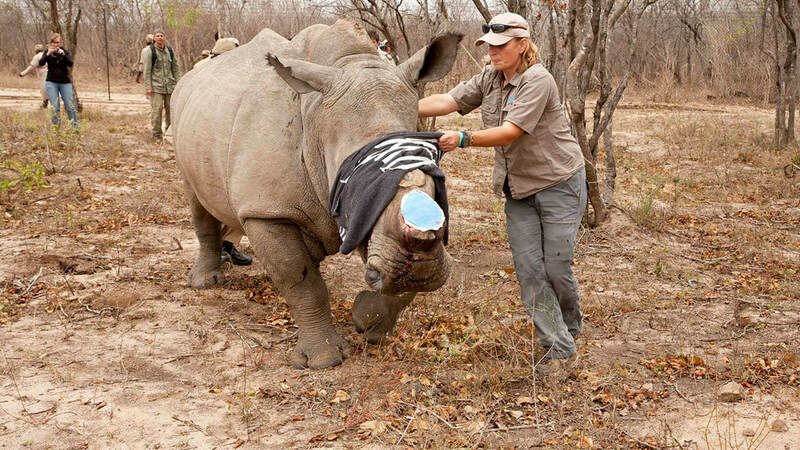 They will need to be equipped with the latest anti-poaching tools – from night vision goggles to vehicles and bullet-proof vests. They will need to be supported by state-of-the-art command and control systems. Areas in excess of 10,000 hectares will need to be fenced and patrolled. 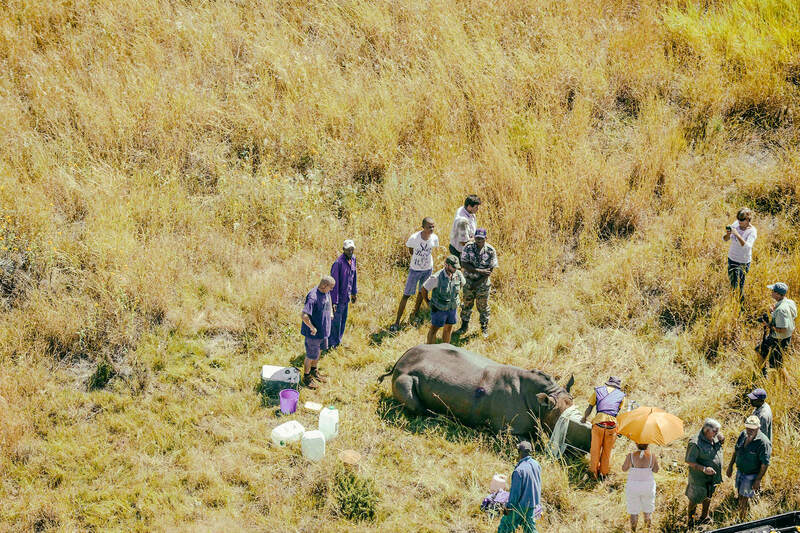 But with the eyes and ears of the local communities trained on the rhino the task of protecting them in the long term and seeing populations thrive and grow will become so much easier. Therefore, the strongholds need to be viable within their communities, giving the people around them every reason to take ownership and protect their wildlife.